Vyshensky, Ivan [Vyšens’kyj] (pseud: Feodul), b ca 1550 in Sudova Vyshnia, Galicia, d after 1620 in Mount Athos, Greece. (Portrait: Ivan Vyshensky.) Orthodox monk and polemicist. Biographical information on him is sparse. He passed some of his youth in Lutsk and was connected with the Ostrih Academy scholars (eg, Herasym Smotrytsky). Ca 1576–80 he entered a monastery at Mount Athos. There are 15 known works by Vyshensky: seven epistles, six treatises, a dialogue, and a story. His most important works were directed against the Church Union of Berestia and were written in the late 1590s. In 1600–1 he prepared a collection of the 10 works he had written by then and sent it to the Lviv Dormition Brotherhood, probably in the hope of having it printed. 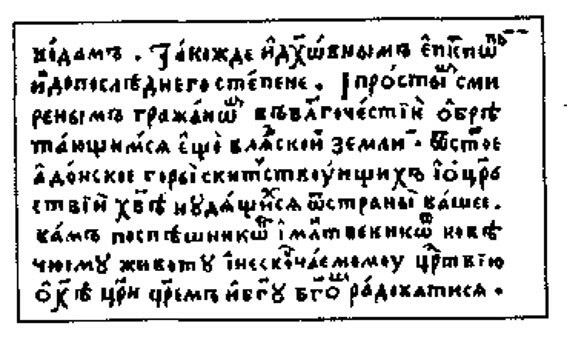 Titled ‘Knyzhka’ (Book), it did not appear in print at that time, but its transcriptions circulated widely in Ukraine. In 1604–6 he visited Ukraine and quarreled with the leaders of the Lviv Dormition Brotherhood. 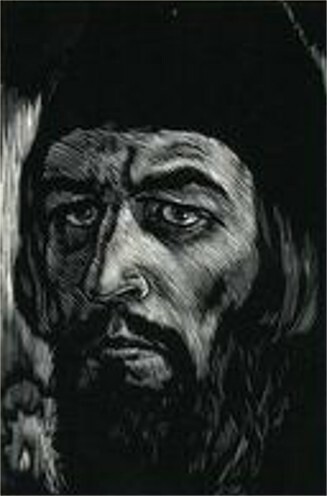 Vyshensky's writings stand out among Ukrainian polemical works (see Polemical literature) of the 16th and 17th centuries by virtue of both their literary merit and their ideological content. He did not simply reject the Uniate church and Catholicism. Grounded in Byzantine asceticism, he sharply criticized temporal life and the entire church hierarchy and secular hierarchy and urged a return to the simplicity of old Christian brotherhood in order to bring about God's Kingdom on earth. He rejected as pagan both secular education and learning on the one hand and old, pre-Christian folk traditions on the other. Stylistically, Vyshensky drew upon the traditional forms of the epistle dialogue and polemical treatise and often mixed these genres. In strong, colorful language he depicted the moral decadence of the upper classes, particularly of the clergy, and contrasted them with poor peasants and simple monks. Exalted feelings alternate with harsh satire and sarcasm. An abundance of epithets and similes, the dramatic use of rhetorical questions and exhortations, ironic portrayals of everyday detail, a rich vocabulary, and the use of the vernacular make his writings lively and persuasive. His style owes much to Byzantine sermons and is closely related to the polemical writings of his Ukrainian (Meletii Smotrytsky) and Polish (Piotr Skarga, Mikołaj Rej) contemporaries. It is one of the finest examples of the baroque style. Published first in Arkhiv Iugo-Zapadnoi Rossii (1887), his works were studied by Ivan Franko, Ahatanhel Krymsky, Hnat Zhytetsky, Mykola Sumtsov, Mykhailo Hrushevsky, Mykhailo Vozniak, Dmytro Chyzhevsky, Volodymyr Peretts, Oleksander Biletsky, Leonid Makhnovets, Andrii Pashuk, S. Pinchuk, P. Yaremenko, and Valerii Shevchuk, among others. I. Eremin prepared two editions of Vyshensky's works (1955, 1959), and Shevchuk has translated them into contemporary Ukrainian (1986).